Sh. 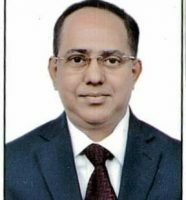 Anup Purkayastha, GM (HR) NHIDCL has been appointed as Chief Vigilance Officer (Part Time) in NHIDCL with approval of the Central Vigilance Commission vide OM No. 017-CVO-08/398781 dated 26.10.2018 as conveyed by Ministry of Road Transport & Highways vide OM no. C-30019/7/2015-Vig dated 02.11.2018. Maintenance of Hindrance Register by all Branch/Sub-Branch Offices. Rechecking of Bill of Quantities (BOQ) for all ongoing Contract Packages in NHIDCL. Submission of Factual Reports by RO/BO/SBO on Newspaper Reports. Circulation of OMs issued by CVC as Preventive Vigilance measure.